Do Conservation Biologists Work Harder Than Other Scientists? An international analysis of conservation biologists finds that they work late at night and over weekends - just like much of the salaried corporate world and science writers. The paper affirms why many Nobel laureates get their prizes for work they did while they were young; it's tough to balance career and family life. But if you want a six-figure income and tenure at a college, it takes paying some dues, and at least in America, where there are six times as many PhDs as there are jobs for them each year, competition is fierce. The submission of manuscripts for publication in a journal and subsequent peer-review (or editorial review, in some open access journals) is a quintessential component of the scientific process. Because the process is now online, it is possible to know the exact time when the authors or reviewers are in front of the computer submitting their files. The authors used this information — the day and time of submission — to understand the working habits of conservation biologists. Their data set was 10,000 manuscript submissions and almost 15,000 reviews sent to Biological Conservation. 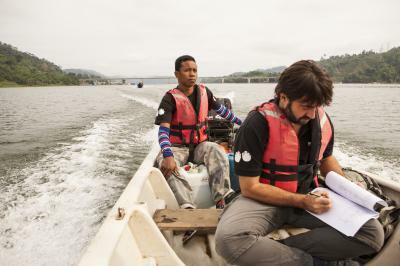 Dr. Ahimsa Campos-Arceiz , an Associate Professor at The University of Nottingham Malaysia Campus's School of Geography, said, "The motivation for the study had clear personal roots. I went to Bali to attend a friend's wedding and found myself spending most of the short holiday reviewing manuscripts in front of the beach, instead of swimming or reading a novel. I realized that finding time to review manuscripts at work is really difficult and I personally do most of my manuscript reviews in my own time, mostly weekends and during holidays. "Reviewing someone else's manuscript is a relatively altruistic act, since it is generally done anonymously and it aims to improve someone else's work, or to prevent poor science being published. If reviews are done during personal time, the altruism is even greater. We were also concerned with the potential effects on the quality of the scientific work — if authors or reviewers are working late at night or over weekends, it might indicate time pressures that can potentially lead to a lower quality of the scientific work." The results showed that scientists do a substantial amount of their work late at night (16 per cent of the manuscripts) and on weekends (11 per cent of the manuscripts and 12 per cent of the reviews); and that this work outside of normal hours has been increasing at about 5-6 per cent per year. Working habits also vary greatly across the globe. Japanese, Chinese, and Indian researchers seemed to work hardest, submitting nearly 40 per cent of their manuscripts outside regular office hours whereas scientists from Belgium, Norway, Finland, and South Africa submitted 16-17 per cent of them outside regular office hours. The countries that stood out in the study for being hard-working were Japanese and Mexican scientists working late at night and Chinese and Indian scientists working much more on weekends. In contrast, Belgian and Norwegian scientists did not work much on weekends, and Finnish scientists did not work at night. American and British scientists had average work habits, working moderate amounts on weekends and evenings. Richard Primack said he was surprised by the study, "Until we saw the data, I did not appreciate how hard-working Chinese, Indian, and Japanese scientists were. Also, I thought that Americans were about the hardest working scientists in the world, but they are about average. In my own case, I am pretty much working all of the time, other than when I am occupied with family and friends or exercising." Overall they say this study shows that conservation biologists and potentially other scientists do a considerable amount of their scientific work outside regular working hours. This trend is increasing and that there are marked geographical patterns in scientists' behavior. The authors consider that the continuous increase in workloads experienced in academic institutions — particularly with ever-increasing teaching and administration duties — has a potential negative impact on the quality of the scientific work and, at the same time, on the scientists' life-work balance, which often results in neglecting family, friends, physical exercise, or just resting time. Campos-Arceiz says, "We call for academic institutions to remember that good science requires time to read and think and over-stressed scientists are likely to be less productive overall. We also recommend that peer-review activities are included as part of the academic job description and considered in staff performance evaluations. At the end of the day, working on this paper has been an opportunity to reflect about our own behavior and priorities. Next time I go to Bali, I will spend more time swimming and talking with my wife and less working on manuscripts."